Dr. Leticia Adelaide Appiah a Physician and Senior Public Health Specialist is currently the Executive Director of the National Population Council of Ghana. Before assuming that role, Dr. Appiah was the Director of Health Services for Ledzokuku-Krowor Municipality (LEKMA) of Ghana since its inception in 2008. During this period, she built genuine rapport and collaboration with all facilities including the private healthcare providers, local, regional, national communities and professionals’ at all organizational levels. She served in this capacity until November 2016 when she was offered an appointment as the Executive Director of National Population Council. 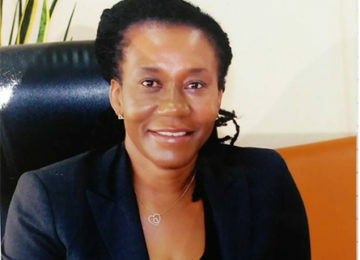 Prior to her assumption as Municipal Director of Health Services at LEKMA, she worked as a Medical Doctor and Public Health Specialist in various public health institutions, treating clients, and training the next generation of health professionals. She has a passion for population and reproductive health with particular emphasis on family planning, HIV and nutrition. Dr Leticia Appiah has won several awards and her Municipality was adjudged the best performing Health Directorate in 2010 in Greater Accra Region among sixteen (16) Directorates. She also won Grants from USAID in 2011 and 2013 for the implementation of two performance based financing projects meant to expand geographical access to long term family planning methods. In 2016, she won the coveted competitive grant from the Institute of International Education to educate post-partum women through mobile phones, and a Nobles International Award from the West African Nobles Forum. In 2017, she was ranked among Top 60 Corporate Women Leaders in Ghana by The African Network of Entrepreneurs. In 20thMarch 2018, she was ranked among the fifty (50) women in business and governance by the Centre for Economic and Leadership Development (CELD) in conjunction with the Amazon’s Watch Magazine at the African women forum. On 30thJuly 2018, she was inducted in the Hall of Fame as an Honorary Fellow of the Fred Sai Institute for her outstanding contribution to the Sexual and Reproductive Health Rights sector in Ghana. Currently, she is focusing on assessing reasons for low uptake of long acting reversible post-partum family planning in Ghana. She is interested in Health System strengthening and implementation of evidence based policies in innovative ways. Her leadership philosophy is striving for self-improvement and helping others do same, which she sees as a responsibility to inspire others to do their best. Dr. Leticia Appiah is a product of Donetsk Medical School in Ukraine with an MD degree. She also holds a Master’s Degree in Public Health from the University of Ghana, a Humphrey Fellow and an alumnus of Emory University Atlanta. She is a board member of Ghana Aids Commission and Partners in Population and Development. The Vice President Alumni Hubert Humphrey Fellowship Ghana and a former board member of the institute of Directors Ghana. She is a member of many professional organizations including the Ghana Medical Association and The international union for the scientific study of population.